People across Britain and in the island were keen to ‘do their bit’ for king and country. So it was against this backdrop that in October 1914 the States of Guernsey decided to offer volunteers from the Militia to serve overseas. 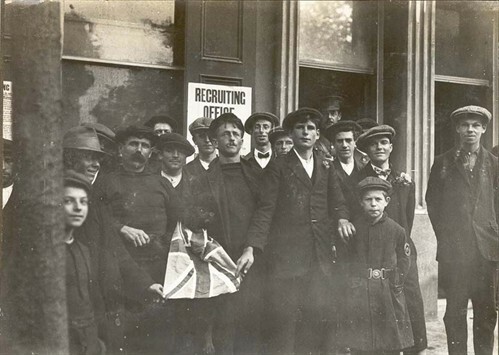 As part of the agreement to offer these men, these ‘sub-unit’s were to be kept together with a Guernsey identity. 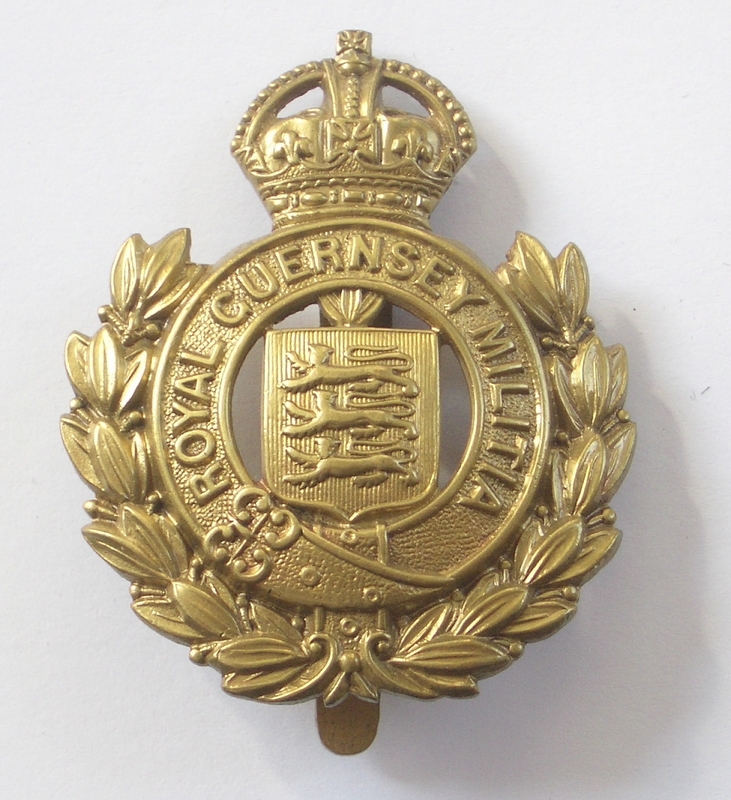 The original intention of the States was to offer two infantry Companies from the Militia and a battery of heavy Artillery from the Royal Guernsey Artillery. The latter was eventually amended to be a Divisional Ammunition Column. 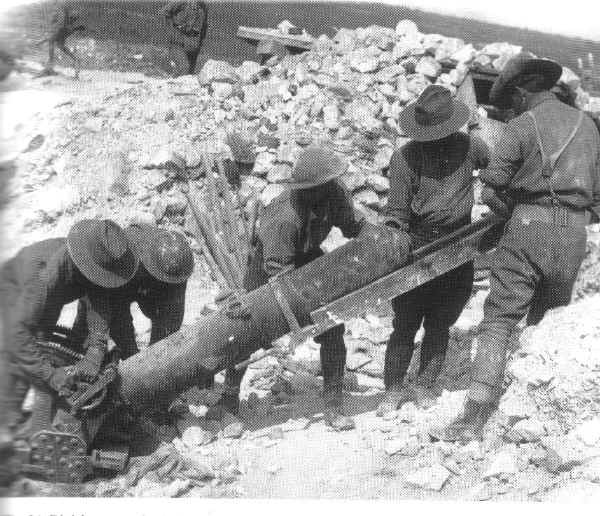 In this article we look at an outline of the events that these brave volunteers went through in the course of serving in the Divisional Ammunition Column they were assigned to. The story of the two infantry companies is the subject of another article, “The Guernsey Irish”. 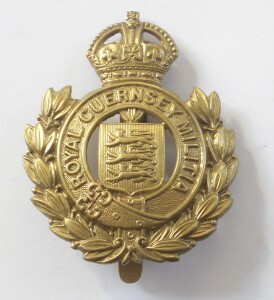 The States of Guernsey agree to offer the War Office formed units of Militia volunteers : a double company of infantry and a battery of heavy Artillery from the Royal Guernsey Artillery which was subsequently amended to be a Divisional Ammunition Column. DACs also had to collect the valuable empty brass cartridge cases plus any unused ammunition from where they had fallen after an Artillery unit had moved on. 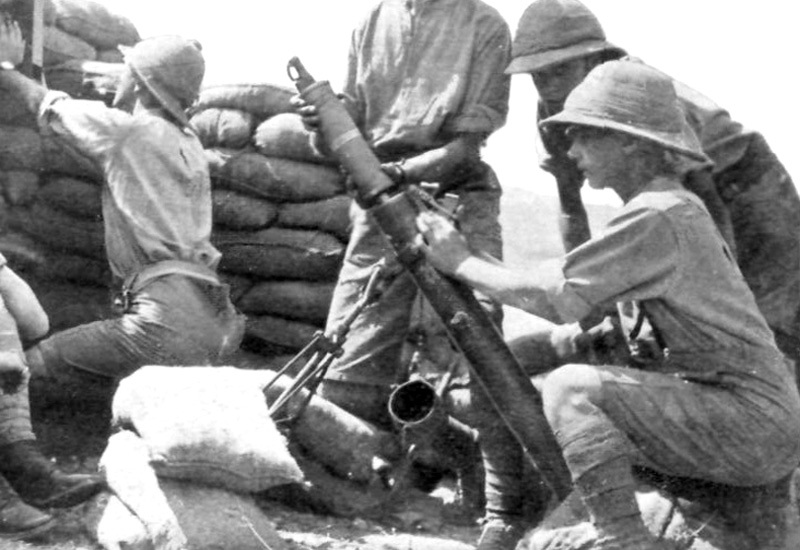 They were often in considerable danger when they moved ammunition forward to Brigade dumps and to the men fighting in the front line. 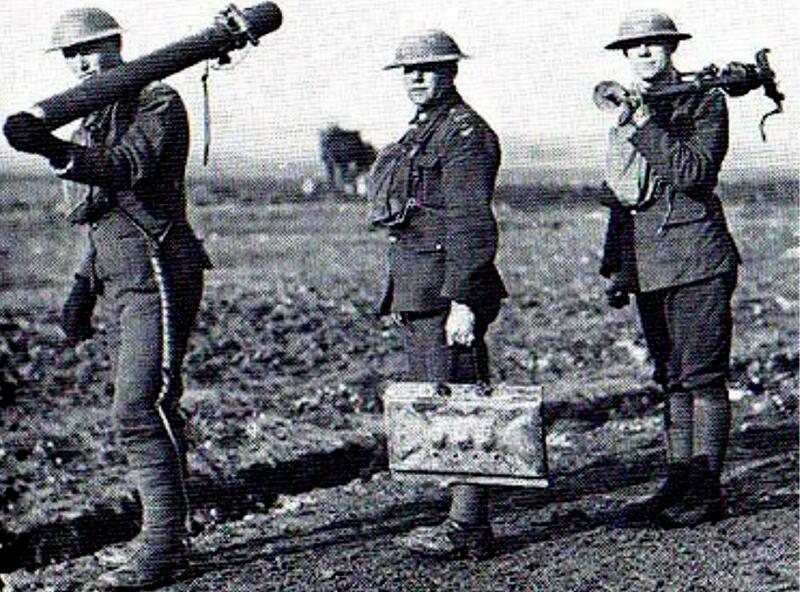 Volunteers for the Divisional Ammunition leave later in the month, going first to Scotland for training. The 9th Scottish Division Ammunition Column (DAC) moves to Salisbury plain and then to Bordon in Hampshire. More local men join at a later date and follow this first contingent to France and Belgium. The DAC receives orders to mobilise and proceed to France with the Division. The DAC leaves Borden and embarks on 5 ships for France. The DAC arrives at Le Havre and entrains for Ypres to join the Division near Poperinghe. A further draft of 38 men leaves Guernsey to join the DAC. Another draft of 39 men under Lt R.H.B. 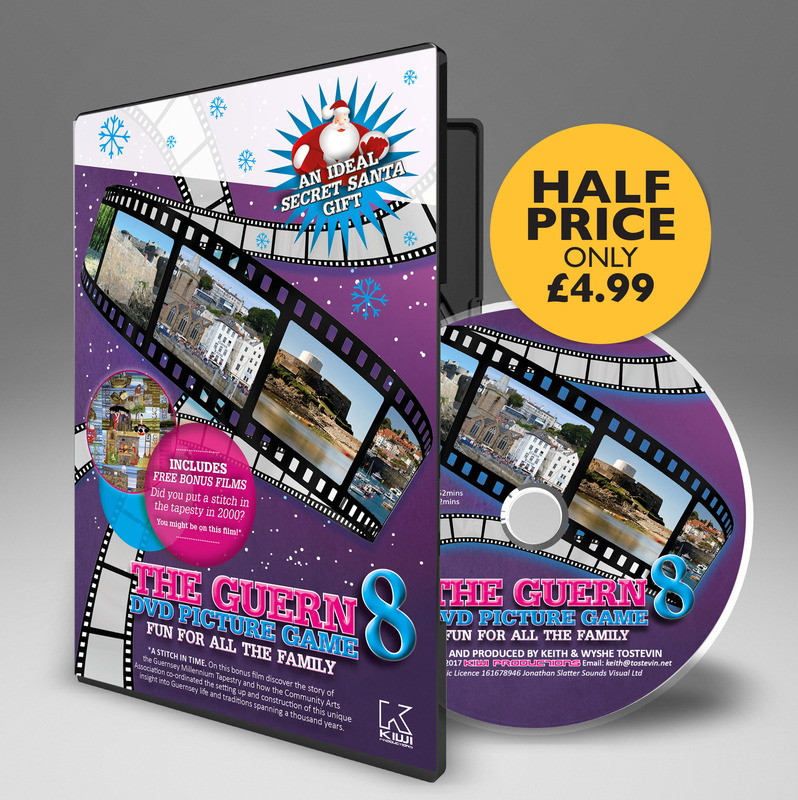 Lorraine leave Guernsey destined for the DAC. It’s worth noting that the Officers and men of the DACs didn’t only work with their own Divisions but could be called on to supply any unit during an action. They were also called upon to replace casualties in the units they were supplying, as were their horses, wagons and supplies. 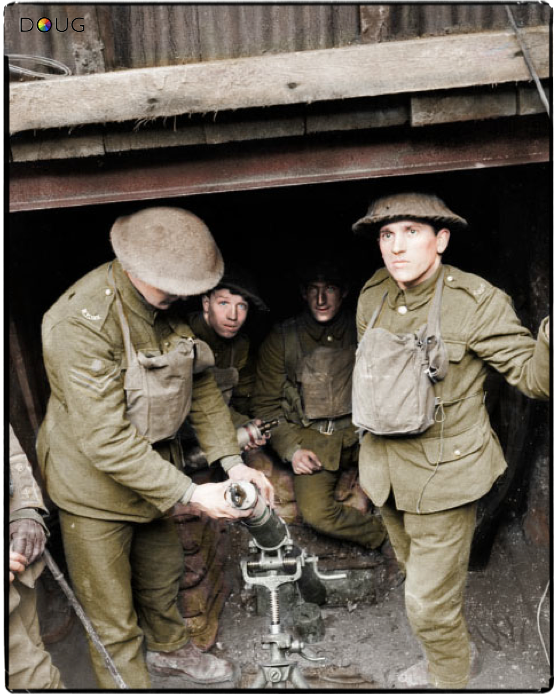 Many men transferred to other units, several serving with Trench Mortar (TM) Batteries and were manned by members of the Brigade who undertook special training in the use of these weapons. 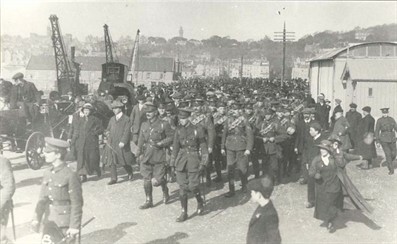 A last draft of 60 men leave Guernsey for the 9th Division’s DAC. The armistice on 11th November found the DAC in rest billets at Huele in Belgium. The DAC moves to Hilden in Germany. Soon after this the division was renamed the 9th (lowland) Division and the Guernseymen were finally released to return home for demobilization. As previousy mentioned the Officers and men of the DACs didn’t only work with their own Divisions but could be called on to supply any unit during an action. 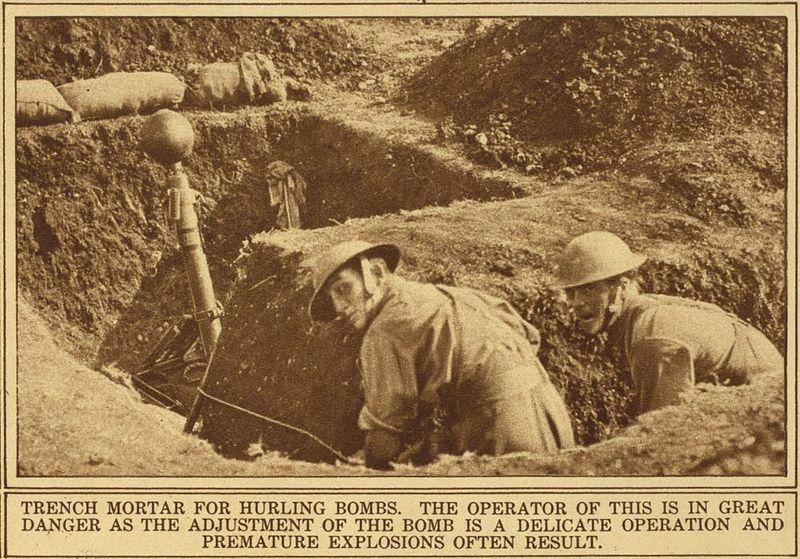 So although they were not front line troops in the usual sense, several of the contingent were killed in action or died of wounds in the course of the war, as illustarted by the fact that of all the men of the 9th DAC who died as a direct result of enemy action only two were serving with the Column at the time of their death. They were Gunner Thomas Charles Waterman on the 21st June 1916 and Gunner Henry Rupert Rabey on the 9th November 1916. Dec 19th Sergeant Thomas de la Mare went over with the first contingent and was killed only three days after he was promoted to Sergeant and just over six months after he had arrived in France. At the time of his death he was serving with C Battery, 53rd Brigade, RFA. This was a Howitzer Brigade which formed part of the 9th (Scottish) Division. 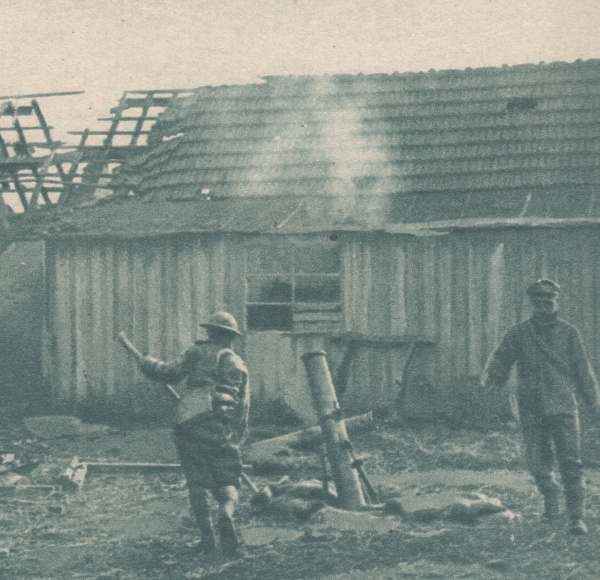 There was a major phosgene gas attack to the North East of Ypres on the date of his death and he may have been caught up in this . June 21st Gunner Thomas Charles Waterman was killed in action aged 33 whilst serving in the 9th Scottish DAC. Nov 14th Gunner Clifford Philip Baker was killed in action at the age of 23. He had gone to France with the first contingent of 9th DAC, but quickly transferred to 53rd DAC and at the time of his death was serving with B Battery, 51st Brigade, RFA. Nov 20th Gunner James Martin Keyho transferred to C Battery, 51st Brigade from 9th DAC. He was killed in action aged 20. He has no known grave but is commemorated on the Thiepval Memorial to the Missing of the Somme. This bears the names of more than 72,000 officers and men of the United Kingdom and South African forces who died in the Somme sector before the 20th March, 1918 and have no known grave. Apr 17th Gunner Alfred Bichard was in the first contingent and ended up in 51st Brigade. He first transferred to 52nd Brigade in June, 1916 and then to D Battery, 51st Brigade. He was killed in action aged 20 in the Arras region. Apr 20th Gunner John Henry Luxon aged 23 who started with 9th DAC but transferred to a Heavy Mortar Battery. He has no known grave but is commemorated on the Arras Memorial. Apr 21st Gunner Stanley Slade Green died of wounds. He went to France with the second contingent of 9th DAC which left the island in June, 1916. He was serving with D Battery, 51st Brigade when he was wounded. Apr 29th Bombardier Wilfred Hilary Nicolle aged 20 of C Battery, 50th Brigade, RFA was killed in action. All of their units were part of the 9th (Scottish) Division and were involved in the battle of the Scarpe in April, 1917. May 26th Gunner James Bihet was a First Contingent man who transferred to 50th DAC in August, 1915 but was serving with the 9th TM Battery when he was wounded and died aged 22. May 30th Gunner Wilfred James Tostevin originally of the 9th DAC but later serving with D Battery, 79th Brigade, RFA died of wounds. Aug 15th Gunner Charles Thomas Wallbridge of D Battery, 47th Brigade, RFA was killed in action age 31and has no known grave but is commemorated on the Menin Gate, Ypres. Oct 26th Gunner Arthur Hammond from Alderney died of wounds aged. He was serving with D Battery, 155th Brigade, RFA at the time of his death.